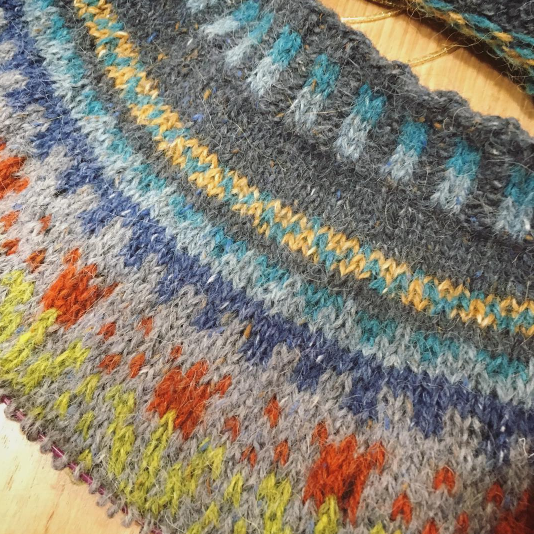 Build a palette and cast on a DK colourwork sweater for yourself from the top down! 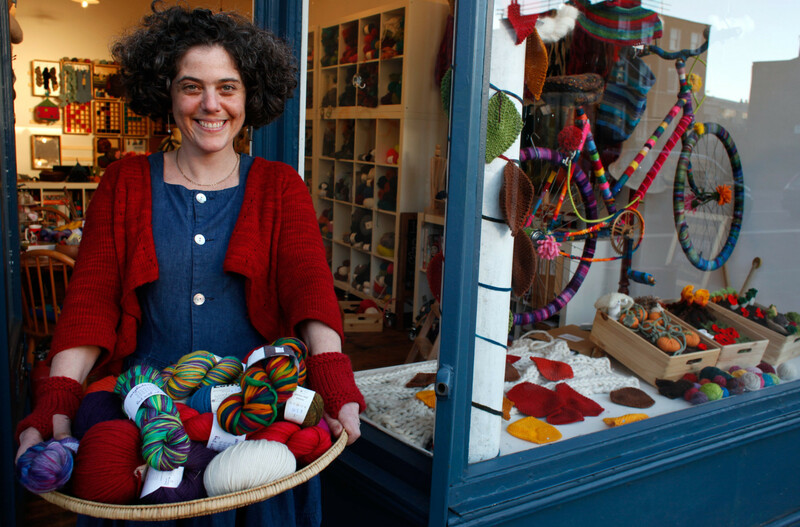 The beauty of top down knitting is that you can try it on and tailor it to your body shape as you go along. It is the perfect system for those who like to take matters into their own hands and don’t like to be bound by row-by-row instructions. On top of the simple construction, we’ll layer our own experiments in colourwork, starting with basic geometric shapes and stray balls of yarn left over from previous projects. With just a little theory, a couple of measurements and handful of basic numbers, you can set yourself up for a knitting adventure that will end in a sweater designed to fit you in a palette all your own. A good selection of your woollen DK oddments leftover from previous projects and lonely single balls! We will build our palettes together from what we have. Swapping encouraged – the colour you have lost the love for may be exactly someone else’s cup of tea and in colour-work, you never know what strange (and sometimes revolting) colours will make it sing. If you are starting from scratch and need to buy yarn, bring at least 7 different colours. Needles to suit personal tension on colour-worked DK stocking stitch (see note in ‘homework’. Students can bring a range of sizes, if they wish to adjust for their personal tension on the fly. Know your average tension over a colour-worked swatch (don’t forget to knit it in the round) so you can start our calculating from there and bring suitably sized 40cm and 80cm long circular needles, plus a size down for the ribbing. If you have a favourite sweater – bought, borrowed, handmade or not, wear it to the workshop (or simply bring it along) so you can take some measurements from it as reference.